The Lookout is now sold out! Thank you to everyone in the community that helped make The Lookout a huge success. 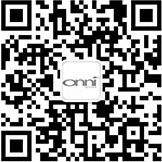 Copyright © Onni Group of Companies Inc. All rights reserved. Developer reserves the rights to make modifications to building design, specifications, features and floorplans without notification. Prices subject to change without notice. Illustrations reflect the artist interpretation of the project only and may differ from the final product. E.&O.E.